What better way to start a morning than with pancakes? When they are fresh out of the pan and drizzled with maple syrup, it is like giving your belly and soul a warm hug. Now, who can say no to that? 1. In a large bowl, whisk together the flour, sugar, baking soda, and salt. 2. Stir in the buttermilk, egg, and melted butter until just combined. Batter should be lumpy. 3. Heat a large non-stick skillet (or griddle) over a low flame. Make the pancakes by pouring 1/2 cup of batter onto the skillet, using the base of the measuring cup to evenly spread the batter. 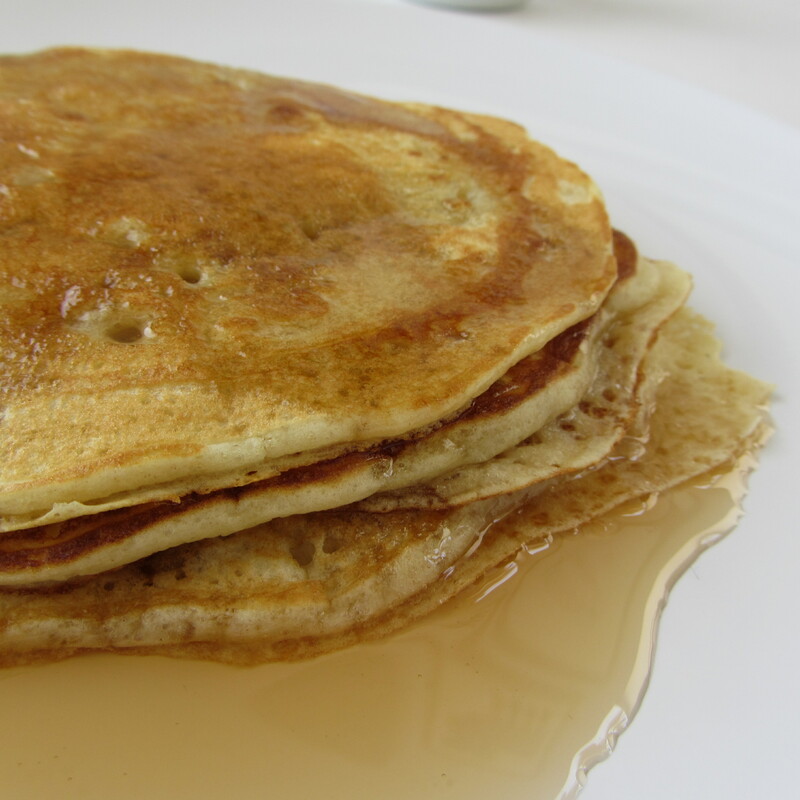 Cook pancake for 1 minute, then flip and cook for an additional 1 minute until golden. 4. Serve with maple syrup.